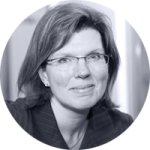 Sherry Coutu CBE is a serial entrepreneur and current angel investor who serves on the boards of companies, charities and universities. In addition to Chairing Artfinder and Founders4Schools, she serves on the Boards of the London Stock Exchange Group, Cambridge University (Finance Board), Cambridge Assessment, Cambridge University Press, Raspberry Pi, Duofertility and Zoopla PLC. She is also on the advisory boards of Linkedin.com and Care.com. Sherry has made direct angel investments in just under 50 companies and holds investments in three venture capital firms. As an entrepreneur, Sherry founded several successful technology businesses in the financial services sector. Prior to this, she had executive roles with Accenture, Coopers & Lybrand Deloitte, and the LEK Partnership. Philanthropically, she helped found the Prince’s Trust Technology Leadership Group, is a member of the venture board of Cancer Research UK and serves on the Harvard Business School European Advisory Council. Sherry was principal author of The Scale Up Report on UK Economic Growth, which defines a ‘scale-up’ as an enterprise with average annualised growth in employees or turnover greater than 20 per cent per annum over a three year period, and with more than 10 employees at the beginning of the observation period. The report, which can be viewed at www.scaleupreport.org, makes a number of recommendations for enabling UK scale up growth.